I know most of you are still in the Christmas spirit, enjoying these special days with friends and the family and starting to think about New Year resolutions. Can you guess what the #1 New Year resolution topic is? Yes, you are right. Most of the people wish for losing weight. Now, I promise you that I will bring other types of conferences to you as well, but being an athlete is what I know the most and I wish I could convince everyone that doing sports will improve their life so much that it is worth doing. Of course, with professional sports this theory changes a bit. Most of professional sports require the discipline, the dedication and the workouts in such extreme conditions that it might not be very healthy for the body. Not that this ever stopped any professional athlete to work even harder to achieve their dreams. Instead they trained their body and provided the proper nutrition to make sure that they can perform at a high level even in extreme conditions. If I think about a sport that is all about endurance, most of the time in conditions that are borderline inhuman, which makes it that much more amazing to see these athletes perform the way they do, cycling comes to my mind and especially the Tour de France. 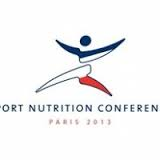 Therefore I am taking you to Paris, where the 15th Sports Nutrition Conference took place in July of 2013. 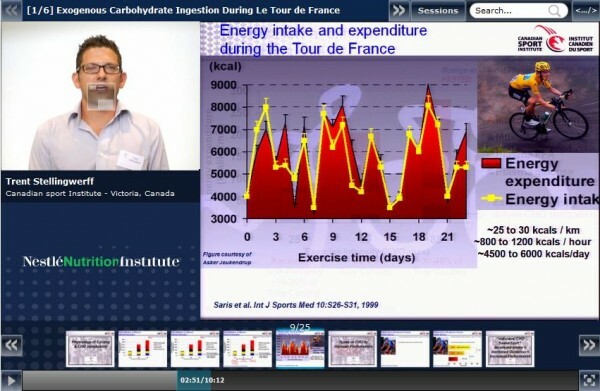 For the 100th anniversary of the Tour de France, the organizers brought together leading scientists to share their insights with a select group of sports nutritionists, sports dieticians, physiologists, coaches, and athletes. This edition of the conference brought up very interesting topics how to improve the performance of endurance athletes. The issues ranged from nutrition, hydration, sleeping habits and even about ergogenic aids, which are external influences that enhance performance in high-intensity exercises. The format of these conferences has been highly successful and this is due to the unique formula being used. In short, the conference brings together a relatively small audience consisting of leading sports nutrition professionals, a small number of elite speakers, journalists, and a few elite athletes and coaches. The carefully selected speakers are not only academically well-established but also have a background in sport and do not only deliver excellent scientific presentations but can translate the science to something of practical use. The main theme of this and all previous conferences: translating the often complicated science into a practical message that is of immediate use to an athlete or coach. Did you know that professional cyclists are supposed to consume between 4500 and 9000 kcal per day? An average person ideally consumes around 2000 kcal during one day. This extremely high number related to the fact that they have to work out around 6 hours a day. 6 hours cycling up the hill… no wonder they are so lean, even though they eat about 4 times what you or I eat every day. Dr. Stellingwerf talks about this during the first presentation. Dr. Burke in the 3rd presentation talks about the importance of recovery and how the attitude towards recovery has changed and became more personalized for each athlete rather than applying a one-fits-all type of solution for every athlete in every sport. Please click on the picture below to go to the Nestlé Nutrition Institute’s webpage where you access this lecture, along with many others captured by Klewel when you register for free. Klewel wishes you and your family a Happy New Year! We are looking forward to provide you with the best value added service for your events in the upcoming year!